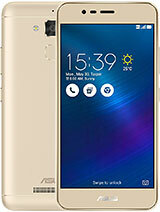 After the latest version..my asus PadFone S can't use Google services..all about Google services are fail to sign in..
Riff, 27 Nov 2014You ALWAYS judge a phone by personal experience. 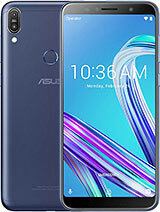 It doesn't make sense to judge a phone by wha... moreBy referring to the original post, he only mention this phone pricing can beat XiaoMi and Oneplus One in term of comparable feature. He never mention the phone is better or what, but someone just judge that this phone is inferior to others. Than.... how about Samsung, Sony, HTC, LG? Do they make phone that is below par than chinese phone? I would said at least on par, but with higher pricing, and offer different type of feature. It is the pricing and performance game. It doesn't means pricier phone is better, or cheaper phone is worse. But competitive pricing is making the difference. 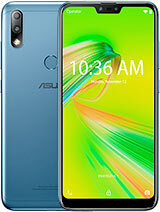 At least the trend now is selling phone at mid range price, but offer similar high end feature. 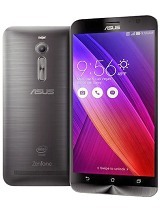 The battery capacity is undersized which also seems to be the case with the zenfones. And its non-removable as well which is double bad. Anonymous, 26 Nov 2014Are you sure Oneplus One and Mi4 better? Oneplus one and Mi4 has no Micro SD card slot, so ... moreYou ALWAYS judge a phone by personal experience. It doesn't make sense to judge a phone by what other ppl are saying. Thats silly. feel, 21 Nov 2014I bought original model and it works fine after 3 days and the battery lifespan is not bad ei... moreso,how long the battery can last? Anonymous, 26 Nov 2014one plus one and xiaomi mi4 more good and better Are you sure Oneplus One and Mi4 better? But if 64GB version is not available in some region, so how to be said is good? 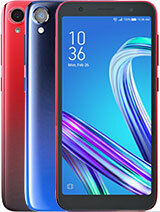 XiaoMi phone may steal your personal info, giving to unknown people, do you call this phone a good phone? Or do you still trust this company? Don't judge a phone just by your personal preference. I would say this phone performance is on par with those high end phone. If you do not own the phone, please don't put negative comment. 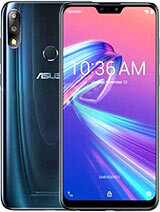 nope, wait until end of this year, asus indonesia will release it. AnonD-320351, 16 Oct 2014when can I buy Asus Fonepad S in Indonesia?Bro... have you found where we can find and buy it in Indonesia? Bro... have you found where we can find and buy it in Indonesia? I bought original model and it works fine after 3 days and the battery lifespan is not bad either after non stop browsing on 4G LTE for 3 hours it only drained 20% - 25%. ( plus YouTube and FB.) photo quality fantastic, sound a bit less than my old phone but sound ok if you plug the earphones. video superb quality and screen touch is responsive. i say no lag so far. griffin, 03 Nov 2014I have one of these, with the tablet/dock. Bought it in Bangkok, Thailand. It must the be most... moreI'm not agree with super sharp lcd screen. The LCD screen is very dim and yellowish. It does not have enough contrast compare other fhd lcd screen like honor 6, lg g2. LCD DETAILS is very poor if compare side by side with the above phones. Very disappointed with the lcd quality. My honor 3c hd screen looks better than padfone s fhd screen. daus, 12 Nov 2014this phone better to play games and support otg or not ?From it's spec, it is more than enough for playing high graphic game. For sure, it support OTG. Indeed, all newer Android phone support OTG, even the cheaper one support OTG as well. 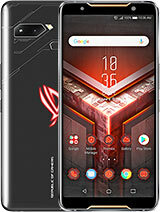 this phone better to play games and support otg or not ? 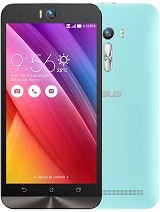 Need a review for this phone. Anonymous, 07 Nov 2014You didn't use the USB port to open the unit did you? Once ever so slightly cracked (almost im... moreNo i never opened using the USB. The USB contact board chipped in the corner, because the USB cord they provided had not be moulded properly. As their was a small moulding flaw, and there was a piece of the moulding on the inside of the USB cord where the contacts reside. Which I didn't notice until it chipped the phones internal USB connector. The biggest problem is living in New Zealand. ASUS refuse to do anything, because i supposedly broke it myself? While the seller on eBay wants be send the phone blind to taiwan and to devaluate the phone to USD$80 so they can receive it thought customs? This is where is gets real messy. Because let say it gets lost in the post? Who's liable? Me? I would just loose the phone and only get covered USD$80 which is not fair.